Day 1: KTM - PBH: BY DRUK AIR KB flight. meet bhutan yod sel representative at airport. transfer to your hotel. Day 2: PARO VALLEY. visit the north parts of paro valley; the impressive drukgyel dzong ruins (monastery fortress). visit paro kychu lhakhang, ta dzong museum, and paro rinpung dzong. hotel. 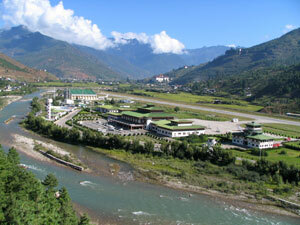 Day 3: PARO/THIMPHU: drive by the two river valleys to the capital city of thimphu. after lunch visit to the hospital for traditional medicine, memorial chorten and the national library. after lunch visit the handicrafts center & the school of thanka painting. overnight at hotel. Day 4: THIMPHU/PUNAKHA: scenic drive on the mountain route towards the former capital of bhutan passing through the dochu la pass (alt. 10,000 feet); beautiful scenery of himalayan ranges. descend to punakha & wangdi valley.overnight at hotel. Day 5: PUNAKHA/BUMTHANG. drive pass the pele la to tongsa, view chenbebji chorten en route. overnight at lodge. Day 6: BUMTHANG. sightseeing of kurjey, jambey, kentshosum, tangbi monasteries, jakar dzong. overnight at lodge. Day 7: BUMTHANG/PUNAKHA. return drive to punakha after viewing village weavers.hotel. Day 8: PUNAKHA/THIMPHU. morning visit punakha dzong and festival with mask dances; after lunch drive to thimphu. hotel. Day 9: THIMPHU/PARO. morning visit the zilukha monastery for nuns; and the simtokha dzong- oldest in bhutan. after lunch drive to paro hotel. Day 10: PARO: morning hike up to the taktsang retreat (the tiger's lair alt 3000 mtrs.). lunch at taktsang cafetaria. return to paro, visit town of paro. Day 11: THU: PARO- KTM: transfer to paro airport for morning flight on druk air kb 107 dep 0830 arr ktm 0925, del 1400. end of services.